Paper New Years Eve Tickets 2018 – 2019 | The Hottest London Nightclubs - Get on the Guestlist & Book a table! 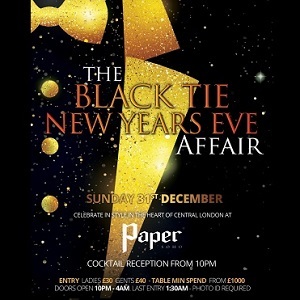 Paper New Years Eve is a night for the rich and famous to experience one of the most exclusive nights of the year! 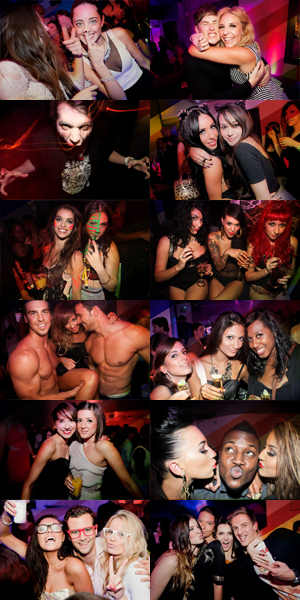 Come and join us for a night of pure luxury and party through to the new year in true style! We will have a luxury exclusive bubble reception from 10:00 pm. Please dress as elegant and sophisticated as you can, think royal gala or the Oscars! Our guest DJ will be supplying a mix of club and party anthems from 9:30 pm till 4 am. Paper New Years Eve is the grandest night of the year and we invite you to join the festivities with an elite party crowd to see in the new year! You will not want to miss out on this one. The legendary Paper Soho nightclub is situated in Wardour Street. The West End night club was the hottest venue in London during its wild early years and hosted parties for the biggest celebrities worldwide. Keira Knightley had her 21st birthday party, P Diddy had many infamous parties here and brought Sienna Miller along with him. Jay Z celebrated his birthday, and Beyonce and her sister held their party in the VIP room. Kanye West performed his hit song Gold Digger in the main room, Chaka Khan sang Ain’t Nobody and the Klaxons performed for Anna Abramovitch’s party.